Challenges are a great feature intended to make the game more interesting and one more way to get additional G-Coins. A challenge represents a task of 4 steps a player should complete over a certain period of time. Upon completing one step you will receive an intermediary bonus for it. 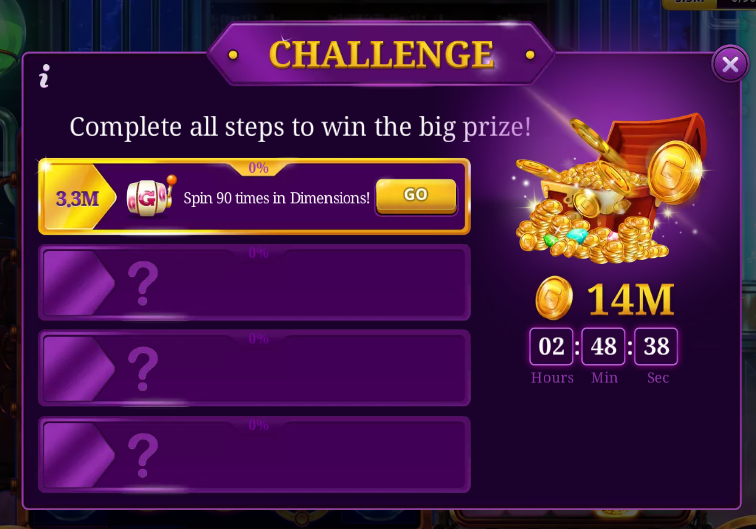 If you complete all 4 steps within the given time, you'll be able to collect a Big Reward for the whole challenge. The progress bar at the right corner of the slot will show you the progress of each step. To see what challenge is available at the moment you can also press on the "Challenge" button in the lobby. 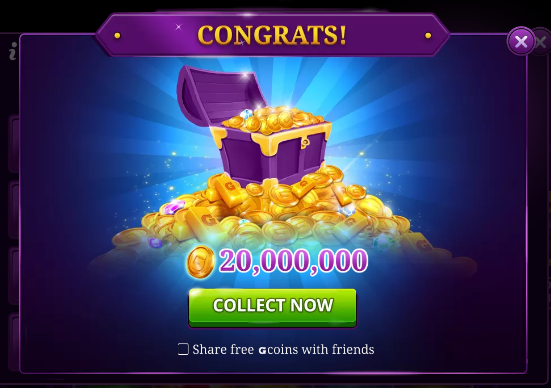 The sooner you complete the task, the sooner you'll be able to start a new challenge and, thus, receive more free bonuses. You can also acquire a Subscription to enlarge your winnings by 150% or 200% for Basic and Prime plans respectfully. Moreover, it's important to know that the rewards in challenges vary and they grow along with the increase in your level. Thus the higher you get in the game, you will be able to win bigger prizes for your efforts.